New regulations are putting full responsibility of how consumers prioritize and manage their Assets Management. The Treasury and Commerce Departments deals directly with IRS to avoid the burden and issues surrounding Taxes by providing accredited Payment Systems to Businesses. 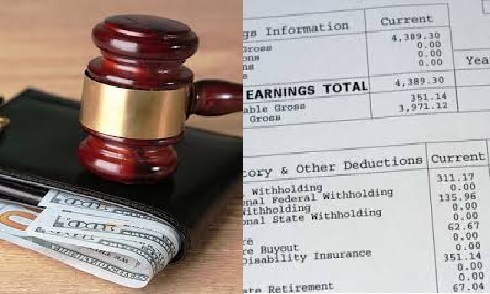 A wage garnishment is when the IRS instructs your employer to withhold majority of your paycheck and sends the withdrawn funds to the IRS. The garnished money is then used to pay down your tax debt. Taxes are based on the information filled out on employees W-4s. Throughout the year deductions are made based on the information supplied by employees on their W-4s and could change due to the number of dependent family members. At the beginning of the first quarter the following year, all employees who received W-2s from their employers are expected to file for Taxes of which they may be compensated or owed minimal amounts, is easily covered by paying back to IRS their Weekly or Bi-weekly wages within a week or month depending on the amount they owe. In cases where employers are not provided with the right information, it can become devastating by reducing their regular savings while payout their debt with the IRS. Although there are professional tax attorneys who are equipped to negotiate tax resolution agreements with the IRS on your behalf, you should know that the IRS has broad powers and they can pursue enforced collection activities if you ignore them. Fortunately, each and every individual has the right to prioritize what debt to payoff. Garnishment by any entity including IRS does not have the obligation to directly garnish funds from consumer’s account. The judicial regulations bounding and binding determination are not to impose garnishment unless beyond all possible doubts do belief they have no other options. Before they garnish your wages, the IRS is required, by law, to issue a specific collection letter which demands you to pay your tax bill. You must have failed to respond before the IRS sends you a final notice of intent to garnish your wages. At this point, you will have only 180 days to stop it. If you fail to take action during this time, the IRS will then notify your employer to garnish your wages. Since Tax deduction is processed by IRS, most of the time, the employees may not actually owe any Taxes. “As a judiciary representative, I have ran into cases where employees do not owe what is stated in most of these collection letters and need to pursue IRS to get a better understanding why those charges appears on the collection letter in the first place” said Judge Valerie Njee Fotso. When you hire Minneapolis Pure Tax Help to end your wage garnishment, they will immediately contact the IRS on your behalf. Just the same as the IRS can easily put bucks into your account, so within 24 hours they can usually persuade the IRS to stop garnishing your wages. To secure a long-term tax settlement, they must create a practical plan for resolving your tax debt in order to further persuade the IRS. Sometimes, this plan includes a decrease in the amount due because of IRS errors, penalty abatement, hardship exemptions, among other tax resolution strategies.